Seniors have always played an important role in Executive Director Trudy Darnell’s life. In sixth grade, she began volunteering at a local nursing home. Through her weekly visits, Trudy developed a friendship with Ms. White, a 92 year old retired school teacher. The time spent with Ms. White and the other residents shaped Trudy’s life and helped her to develop a love for seniors. 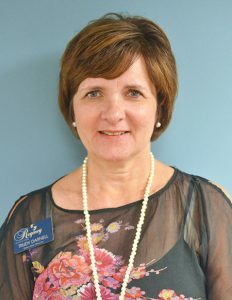 Trudy was born and raised in Morristown. She plays an active role in her church, teaching a class of 17 teenagers each Wednesday evening. She also enjoys her weekly visits with her 4 grandchildren. On weekends, Trudy enjoys 12-15 mile hikes through the Smoky Mountains.